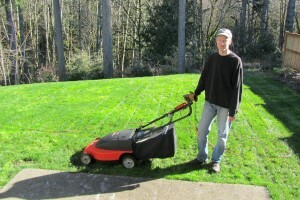 because the sun was manipulating our lawn into growing. 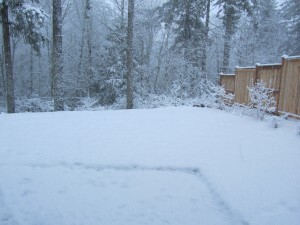 Yeah… it is buried under snow today! 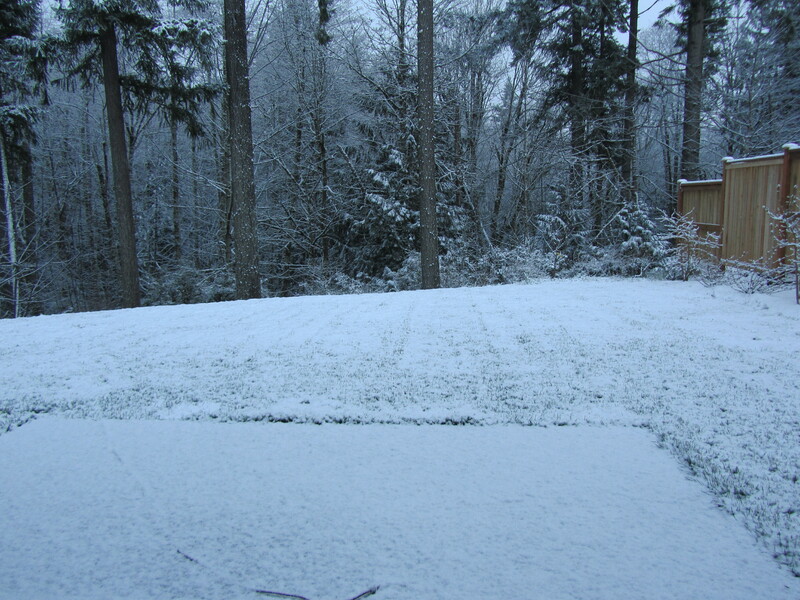 Snow on the coast is Wet and slippery! and sure enough it snowed!! In less than a week ! the humorous thing about all this snow? apparently they only cancel outdoor soccer for lightening!!?? don’t worry… that snowy soccer ball is Merlin’s! 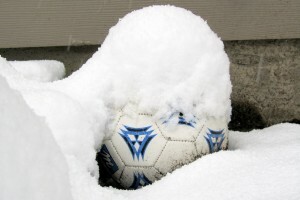 yikes… soccer in the snow? really? they are only 5th graders! honestly snow usually disappears in less than 2 days around these parts! Sometimes we are lucky enough to keep it a week. Occasionally it stays for 2 weeks… but that is rare!! and be a good mom and take my littles out in the COLD…brrrr…. what is wrong with children?? why do they want to go outside on days like this?!! ha ha ha … I kid. maybe when we come in..
we’ll have the warm brownies I just pulled out of the oven! What is YOUR weather like today??! 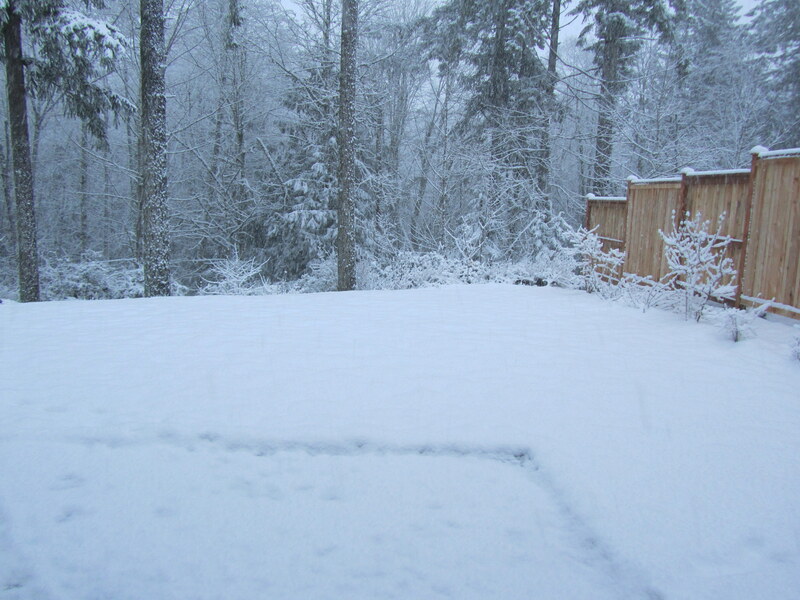 My first thought when I saw the first picture was, “NO WAY!”, then I continued to scroll, and low and behold..snow. I guess we can’t be all that shocked…it still is February. We are suppose to get some tonight too. 🙁 I am done! That is some crazy weather! It is freeeeeeeeezing cold here….BBBRRRRRRRRR! Love the hearts by the way! 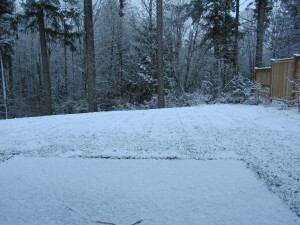 thanks for the pics of the snow. i feel a little less jealous now. a little. 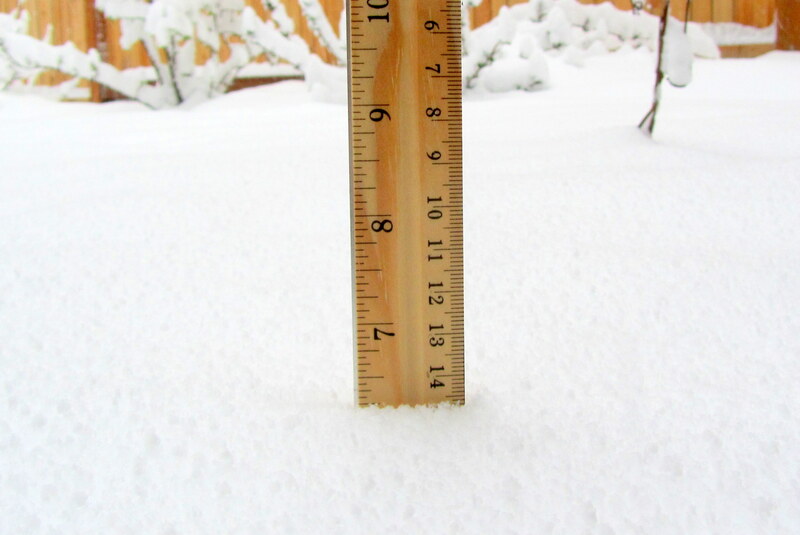 it’s still not 17 inches. but it’s not sunshine and green grass. so i’m not quite so jealous. lol. 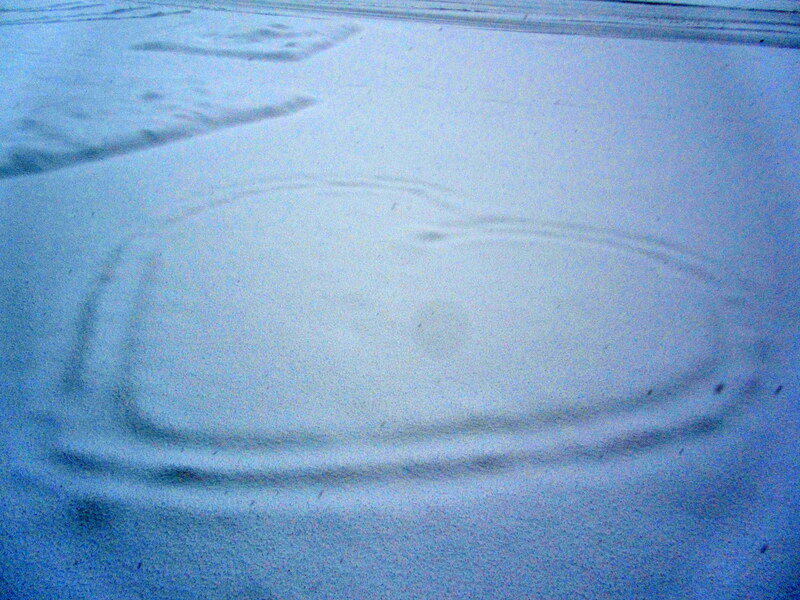 the heart in the driveway has me a little jealous,though. ha ha…no, really your guy was very sweet. i’m glad you get those little love notes. 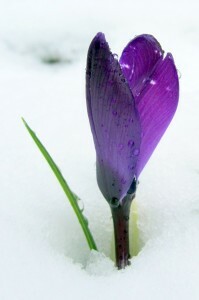 the flower in the snow is a neat pic. what a crazy winter, hey? I don’t think you even need me to answer that question…I write about our cold, snowy winter way too often I’m sure. Same thing here in Denver, although that is normal for us. Warm one day, snowing the next! P.S. I got both of your comments! Thank you! You are too sweet and funny. I will move to Florida any day 🙂 Have a great day and maybe that green grass will be back soon! 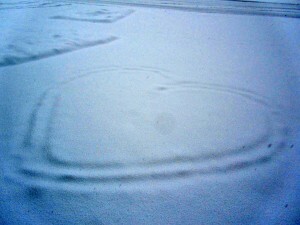 Okey, you have snow now !!!!!!! WOW what a transformation!! We are i for 38 degrees Celsius today – UGH!! Awwwwww! that green grass is gorgeous!!!!! We have burmuda out here and it won’t turn green until it gets hotter than blazes! Love the sweet heart, even if he did leave it for the kids, haha!